I am pleased to offer the latest in our series “Behind the Artisans of Provence” featuring our second talented creator in this season’s SOLDOUT V8: Midsummer Dream curation. 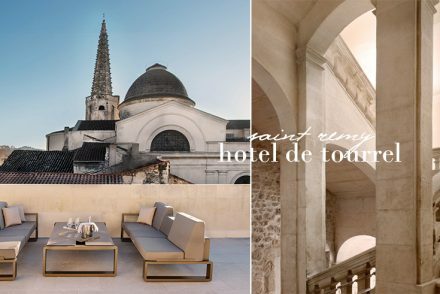 Each season, we bring you behind the scenes of a talented artisan or designer working here in Provence. It brings us much pleasure to discover and spotlight the talented people that are inspired daily by the beauty of living here in Provence. And even more, that we are able to deliver their stunning creations to your doorstep. A few short months ago, I discovered AnneLaure Humblot’s whimsical and highly artistic work. 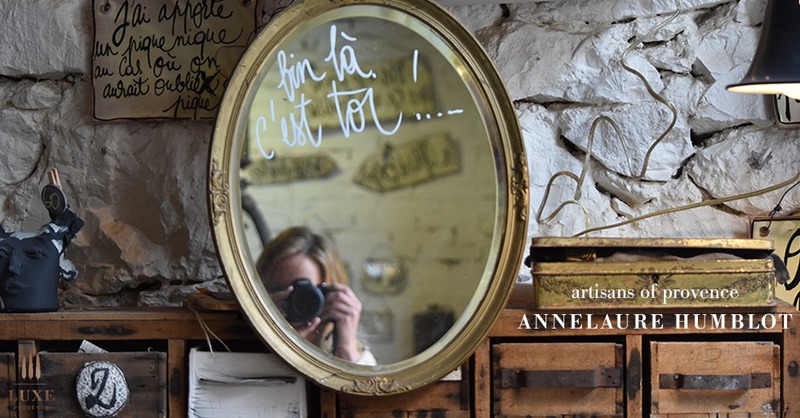 I was both inspired and excited as soon as I walked through the charming doors of her Gasoline Atelier in Salernes, a beautiful Provencal village in the Var. 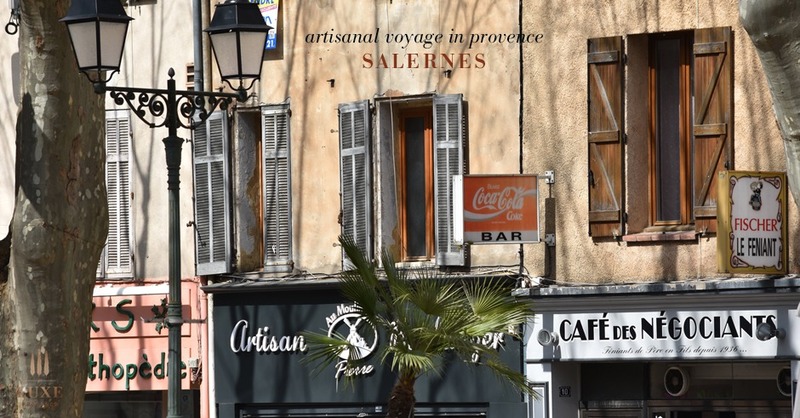 Salernes is famous for their authentic terracotta tiles and lively artisanal community based around years of history in creating fine, traditional ceramics. The village is steeped in ceramics and terracotta tile work due to the discovery of the region’s iron rich red clay dating back to the 1800s. Today, 15 ceramists and 4 potters continue with the tradition in Salernes, including the notable Alain Vagh, a colorful artist and well-reputed producer of beautiful floor and wall tiles in vibrant colors, shapes and sizes. 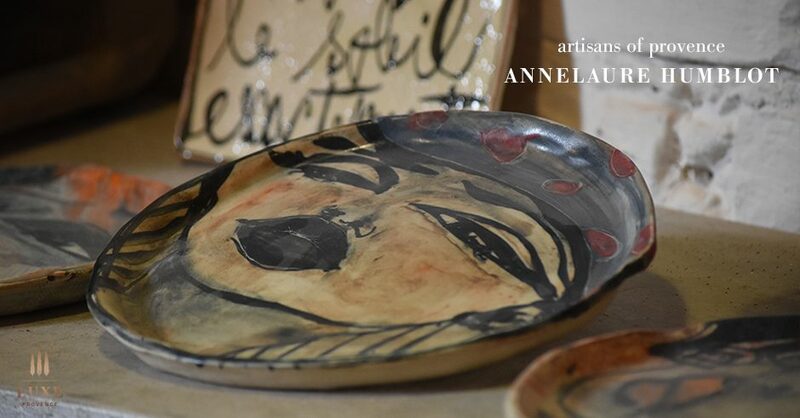 Alain’s daughter-in-law, Vero Vagh, also creates her own, lovely ceramic designs in a variety of styles at her boutique, Pause Ceramics, in the center of the village that I recommend visiting. AnneLaure is registered as a working artisan in the prestigious Ateliers d’Art de France, which represents more than 6,000 craftsworkers, artists and craft companies here in France. Their objectives are to enhance, represent, safeguard and support the economic development of craft professionals. Their organization is deeply committed to the educational, cultural and social aspect of developing artisans of France. They offer support with high-profile activities that contribute to building the international and national reputation of the craft sector in the country. 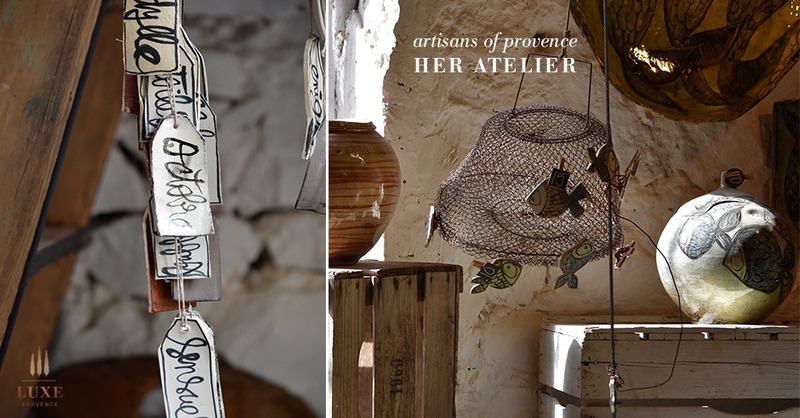 We asked AnneLaure to share a bit behind her inspiration and favorite aspects of being a working Artisan of Provence. En: When did you first start as a working artisan? I have been working as a ceramacist since 2003. En: What was your inspiration behind this line of plates we are featuring this season in our V8 Collection? The portraits are inspired by essentially by the paintings of Klimt and Bernard Buffet. En: What is your favorite aspect of your work? What I like most about my work is the moment when I put the brush, for the first stroke, on the dried clay. En: What is your favorite part of your day? I love the morning. A few minutes after awakening .. everything is quiet and new …. En: What is your favorite part of living in Provence? I love the whole of Provence: the sun that floods us with its rays, the songs of the cicadas in the summer, the frogs and the locusts in the evening, the dry grass of our garrigues crackling under our feet. And vertiginous cypresses, this atmosphere of the afternoons of summer, where the heat is at its height and where nobody moves … the silence canicular! Fr: Quand commencez-vous à pratiquer en tant qu’artisan ? Je travaille en tant que céramiste depuis 2003. Fr: Quelle est votre inspiration pour votre assiettes ? Les portraits sont essentiellement inspirés des tableaux de Klimt et de Bernard Buffet. Fr: Quel est votre aspect préféré de votre travail ? Ce que j’aime le plus, dans mon travail, c’est le moment où je pose le pinceau, pour le premier trait, sur l’objet en terre sèche. Fr: Quelle est votre partie préférée de votre journée ? J’adore le matin. Quelques minutes après le réveil .. tout est calme et neuf …. 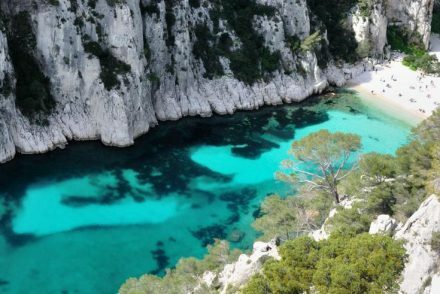 Fr: Quelle est votre part préférée de vivre en Provence ? J’aime la Provence toute entière: le soleil qui nous inonde de ses rayons, les chants des cigales l’été, celui des grenouilles et des criquets le soir, l’herbe sèche de nos garrigues qui crépite sous nos pas, les cimes hautes et vertigineuses des cyprès, cette ambiance des après midis d’été, où la chaleur est à son comble et où plus personne ne bouge… le silence caniculaire !…. 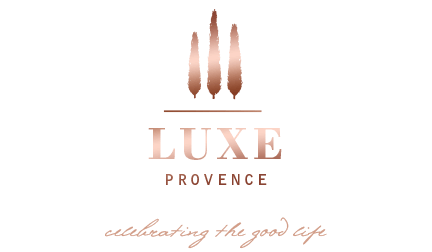 Be sure to Subscribe to our Luxe Provence Box to receive the likes of AnneLaure’s work and other talented Artisans of Provence delivered to your doorstep each season. This artisanal limited edition curation sold-out very quickly, but we look forward to working with AnneLaure again soon.